Reportstack has announced a new report on The Global Military GPS/GNSS Market 2013-2023. 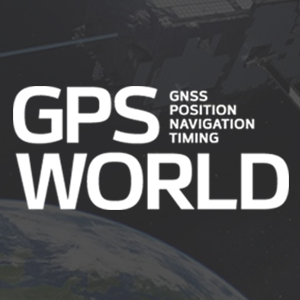 This report offers the reader detailed analysis of the global military GPS/GNSS market over the next 10 years, alongside potential market opportunities to enter the industry, using detailed market size forecasts, Reportstack said. A satellite navigation system provides GPS positioning from a global perspective, and is therefore of utmost importance for modern-day military operations, which rely on accurate real-time data on hostile forces in order to carry out precision attacks, Reportstack said. It is here that GPS/GNSS devices assume an important role, as they are imperative to transfer signals from these satellites back to earth. The U.S. is the highest spender on military GPS/GNSS navigation, and is responsible for 42.9% of the global military GNSS devices market. Others major spenders in this sector include Russia, the UK, China and India. In July 2013, India launched the IRNSS-1A, the first of seven satellite constellation to be deployed under the Indian Regional Navigation Satellite System (IRNSS) program to be completed between 2015-2016. And China’s BeiDou is scheduled to be operational by 2020. Another factor driving the market is the integration of satellite navigation technology with other navigation systems, such as the inertial navigation system (INS) and gyro, as GPS devices are to be used in order to decipher data correctly, Reportstack said. The increasing demand for satellite navigation and communications is driven primarily by the desire of militaries to monitor more areas and derive accurate information by a range of GNSS receivers/sensors in the shortest time possible. Major military aircraft and helicopters are dependent on GPS embedded INS systems for effective navigation. Similarly, naval vessels and guided munitions are increasingly relying on the collaboration of laser, gyro, INS, and satellite navigation technologies to derive accurate real time data. Furthermore, it has been observed that the usage of standard positioning services/open service receivers, which use unencrypted signal for non-combat purposes has increased, and is expected to drive demand and encourage expenditure, Reportstack said. The military GPS/GNSS technology is expanding its horizon beyond the basic characteristics of navigation and tracking. The use of GPS, in conjunction with a number of software applications, has expanded its use in military operations. A number of new technologies are now embedded with GPS receivers to produce a more sophisticated military tool. Recently, a Swiss-based company developed a device called GPS Log Book based on u-blox technology. The new device has extended the scope of GPS technology to the administrative side of military operations. It provides an easy way for military drivers to automatically keep an accurate travel log book which can be securely accessed later from anywhere via a web interface. Information logged includes route, speed, and distance traveled. It also keeps a close record of fuel used by the vehicle, based on the distance traveled at various speed levels. The advent of Differential GPS (DGPS), an enhancement to GPS, which provides improved location accuracy, from the 15-meter nominal GPS accuracy to approximately 10 cm, has further expanded the scope of GPS in missile technology. The intercontinental ballistic missiles, which are capable of hitting targets across thousands of miles navigation, use inertial navigation with DGPS receivers. The advent of DGPS is expected to be one of the most significant steps in accurate missile targeting for militaries across regions. The companies mentioned in this report are Northrop Grumman, Raytheon, Rockwell Collins , Lockheed Martin, ITT Exelis, Thales, and BAE Systems. More details and table of contents about this report can be found by visiting The Global Military GPS/GNSS Market 2013-2023 report.